Ben Mendelsohn and Ryan Reynolds play Gerry and Curtis, respectively. The picture is directed by writer/director pair Anna Boden and Ryan Fleck and is set to debut September 25, 2015. 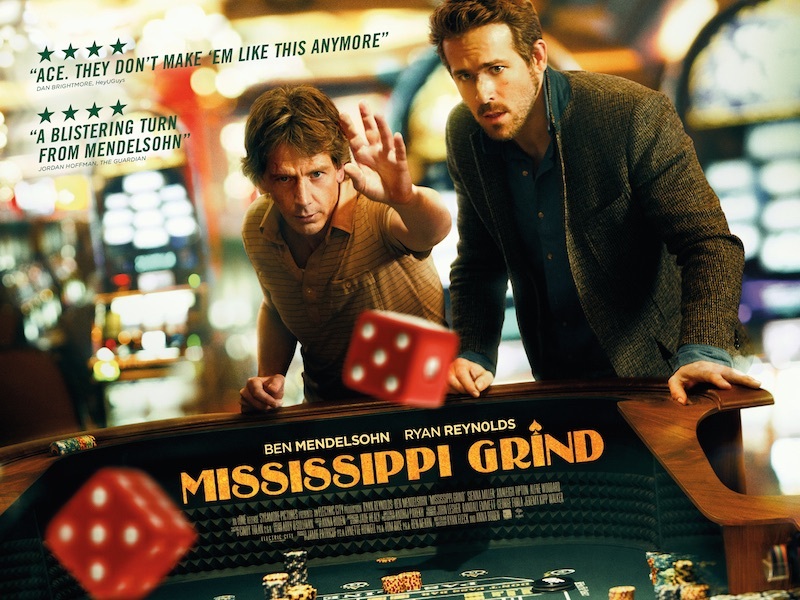 Check Out Ryan Reynolds in the ‘Mississippi Grind’ Trailer!!! This entry was posted on Thursday, September 3rd, 2015 at 10:54 am	and is filed under Film, News. You can follow any responses to this entry through the RSS 2.0 feed. You can skip to the end and leave a response. Pinging is currently not allowed. « Film Review: ‘Bloodsucking Bastards’! [after someone trys to shoot Paul at a Japanese resturant] That resturant was really nice, up until the attempted "whacking."